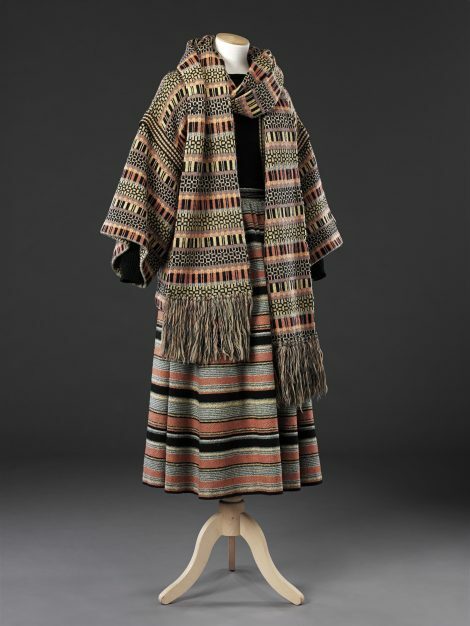 The Scottish fashion designer Bill Gibb collaborated with the knitwear designer Kaffe Fassett to produce a distinctive and successful range of knitwear in the later half of the 1970s. 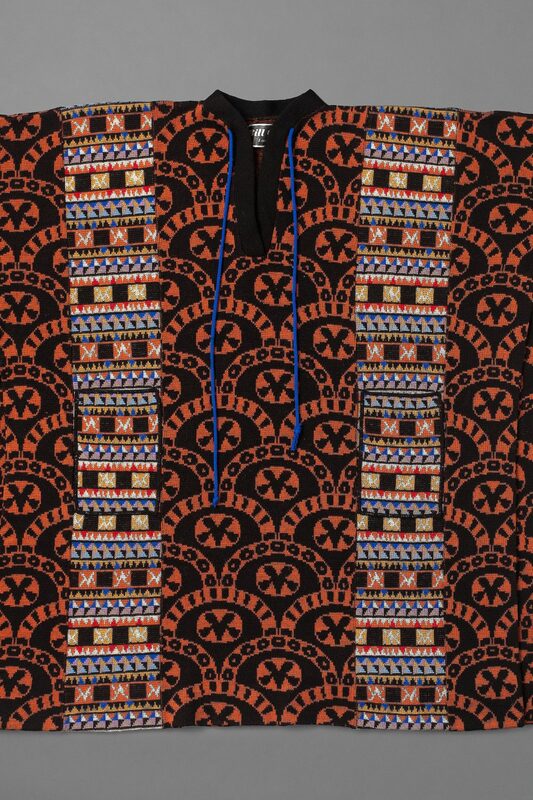 This coat is part of their Byzantine collection of 1976, which also included a tunic, scarf and breeches of related design. Their shapes were loose and unsophisticated, and their patterns influenced by Turkish decorative arts. 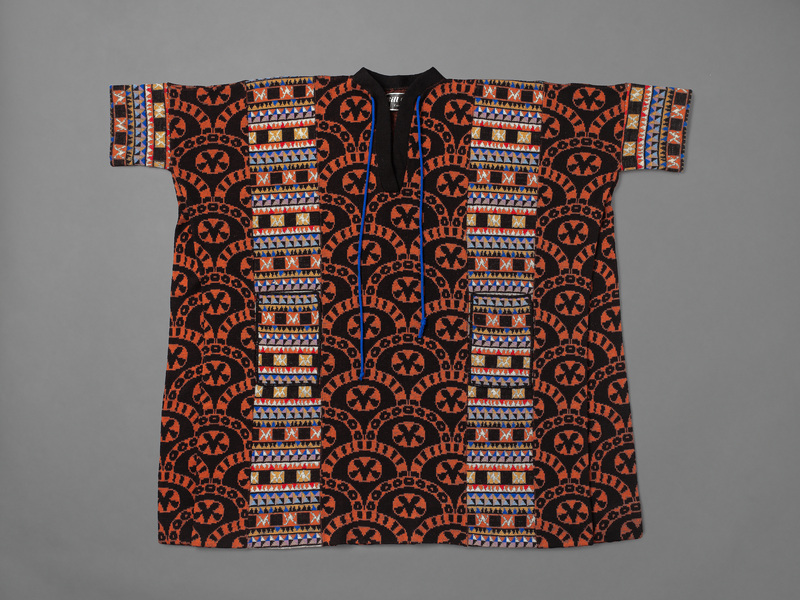 Exotic influences were popular during the 1970s and designers acknowledged this in the naming of their garments. In her book Vintage Fashion Knitwear (Carlton Books, 2010, p. 157), Marnie Fogg illustrates the original sample swatches for this collection which were dyed and hand knitted by Fassett. They were then interpreted by a technician on a knitting machine, and then industrially produced by Gould’s of Leicester. Leicester was a traditional centre of the knitwear industry, and it was a matter of pride to Gibb that his garments were manufactured in the UK.